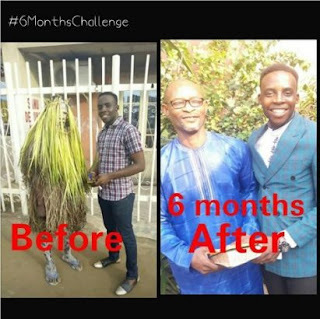 A man who acts as a Masquerade in Nigeria has converted to Christianity and even became an evangelist in 6 months after he was preached to by an evangelist. The evangelist met the man on the road, preached to him and he forsook his Masquerade act and followed Jesus. The man who won his soul took to Twitter to share the testimony of how it happened.